From your belt buckle to your cowboy hat, you're all decked out and ready for the tough work day. It's nice that you get to wear blue jeans to your job site, isn't it? What's even better is that your work jeans can protect you in more ways than you thought. These A ... (see full details) (see specifications) #ARW10014449. From your belt buckle to your cowboy hat, you're all decked out and ready for the tough work day. It's nice that you get to wear blue jeans to your job site, isn't it? What's even better is that your work jeans can protect you in more ways than you thought. These Ariat Men's 10014449 Flame-Resistant M3 Loose Fit Flint Jeans are flame-resistant, which will guard you around high temperatures, open flames, and electrical hazards that can spark at any moment. Ariat flame-resistant denim offers you with protection in extreme environments. Your job isn't an easy one, so this added coverage helps make your life a little less worrisome. 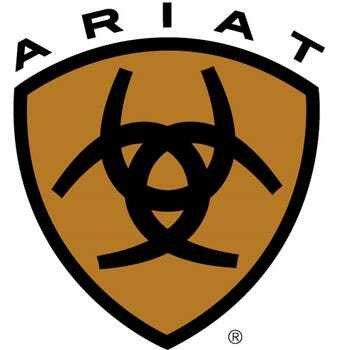 The Ariat jeans are rated at a Hazard Risk Category (HRC) 2, which indicates the level of protection they provide, and they are compliant with the NFPA 2112 standard. This is important for oil and petrochemical industries, as this standard indicates that employees must wear flame-resistant clothing if the potential for flash fire exists. If there's a chance you may be exposed to an electric arc flash, these are also compliant with the NFPA 70E regulation. The men's jeans have an Arc Thermal Performance Value (ATPV) of 20 cal/cm^2. The higher the number, the more protection you'll have. Alright, so you know by know that these flame-resistant jeans will work hard to keep you safe. They also come with a style that looks great everywhere. Who can resist that classic denim look? Their comfortable lower rise and extra relaxed fit through the waist and hips will make sure you're feeling great all day long. They're loose through the thighs, too, so you'll have no restraint when you'ew walking. The M3 design delivers loose-fitting, athletic jeans that offer you with plenty of room to move. The straight legs and no-rub comfort inseams give you even more coziness. This premium, ring-spun denim is comfortably soft, and it's also durable to protect you in heat-intensive conditions. You can count on this long-lasting, 13-ounce material that features a medium wash. When you're getting ready for work, make sure you've got the right kind of men's workwear. It's nice to look good, but it's more important to protect yourself. These Ariat Men's 10014449 Flame-Resistant M3 Flint Loose Fit FR Jeans give you both good looks and rugged flame-resistant protection. Order yours from Working Person's Store today! Bought a pair of these just to see how they fit. I've since ordered 3 more pair. Very comfortable, nice looking jeans. Not your typical lineman style jeans, just basic 5 pocket style. Loose fitting through the legs. Some stitching on the back pockets. Fit reminds me of Levis 550 style. Would highly recommend these. These jeans are very relaxing and are great for long term use. I have worn them for a double shift and I will admit that sixteen hours in them and not a complaint at all. I do wish the price was a bit lower but I get you can't put a price on safety and being flame resistant they are perfect for my work. Ariat Jeans: Men's 10014449 Flame-Resistant M3 Flint Loose Fit Jeans is being added to your cart.